Low-maintenance and loaded with flavor, this little-known perennial herb is poised to become the next big thing among chefs and hip home cooks. 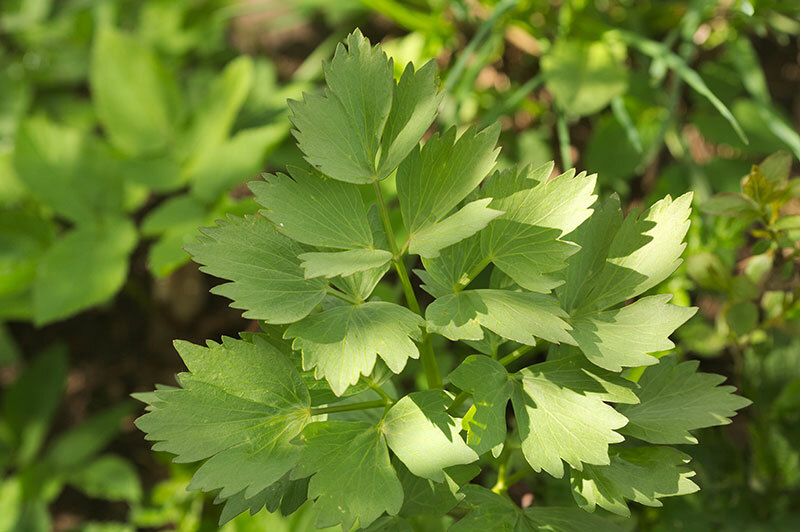 Lovage looks like flat-leaf parsley, but its flavor calls to mind celery. You can also market the fennel-esque seeds. Here in the United States, Alice Waters spices up burgers and meatballs with the herb, while Stacey Givens of the Side Yard Farm & Kitchen in Portland, Oregon, purées the leaves into a pesto and incorporates the crunchy seeds into Bloody Marys. The good news for growers in culinary-forward markets: A lovage plant can reach heights of 6 feet within a single year, yielding about a pound of leaves per week from spring into fall. Hardy in Zones 4”“8, this herbaceous perennial can be difficult to start from seed. Patience proves key: Instead of the usual week or so, lovage seeds can take up to 20 days to germinate, and the seedlings shouldn’t be transplanted outdoors until night temperatures reach a consistent 60°F. Choose a site with well drained soil that receives full sun or only partial shade, and space the plants at least 18 inches apart. Stacey Givens, the chef-owner of the Side Yard Farm & Kitchen in Portland, Oregon, substitutes lovage for the basil traditionally used in the northern Italian sauce. Mince garlic in a food processor, then add lovage, chives, and ½ cup oil and process until leaves are coarsely chopped. Add remaining ingredients, and process until nuts are coarsely ground. Let pesto sit for 30 minutes to allow flavors to develop. Cover surface with plastic wrap and refrigerate for up to 1 week. Makes 1½ cups pesto. Though it’s fine to snip a few leaves that first summer, avoid the temptation to overharvest, so the plant can conserve energy for overwintering. The following year, you can go to town, snipping the outer leaves, which will resprout, throughout the growing season. Cut the center stalk when it flowers, to prevent the plant from going to seed (unless, of course, you want to harvest the seeds for cooking or planting). Most growers sell the leaves fresh, in small bunches, but dried leaves will appeal to purveyors of teas and medicinal tinctures. The seeds can be marketed as an alternative to fennel. Given lovage’s strong flavor and prolific nature, the specialty herb doesn’t lend itself to largescale production, but it can be a lucrative – and incredibly low-maintenance – bit player in a small, diversified operation. So instead of the usual acre, we’ve assumed a 15-foot-square planting area for the numbers below. You can get lovage seeds from seedlibrary.org, rareseeds.com, johnnyseeds.com, and seedsavers.org. Seedlings are available at andysasparagusacres.com.